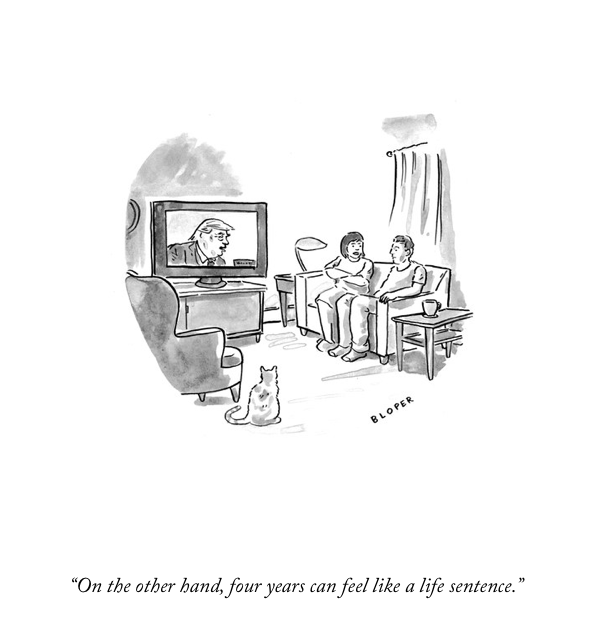 The New Yorker’s daily cartoon highlights the irreverence U.S. President Donald Trump evokes. He will remain in office for another two years. 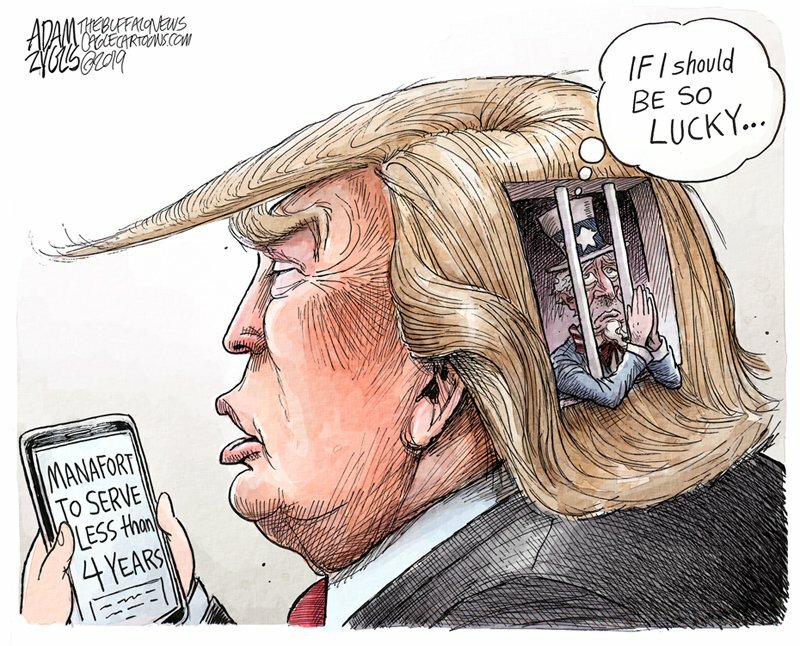 Donald Trump’s former campaign chairman Paul Manafort was Friday sentenced to a 47-month sentence for bank and tax fraud — much shorter than what was recommended by the U.S. Department of Justice. Uncle Sam, a personification of the U.S. government, isn’t so lucky. 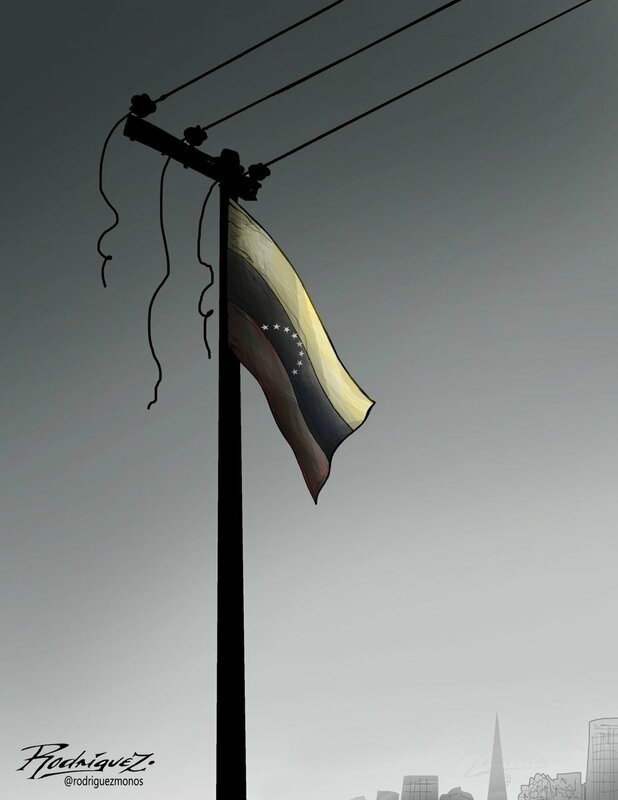 A limp flag hangs off of a broken electric pole, signifying the massive blackout that has plunged Venezuela into darkness. The blackout is worsening tensions between President Nicolás Maduro and the U.S-backed Opposition. 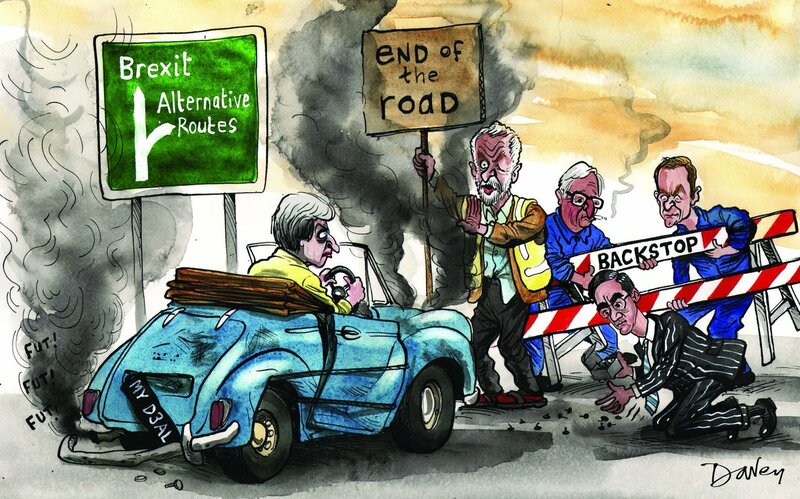 With only a few weeks left to go, Theresa May’s Brexit deal is falling apart as talks between the British and EU have failed to secure a breakthrough. 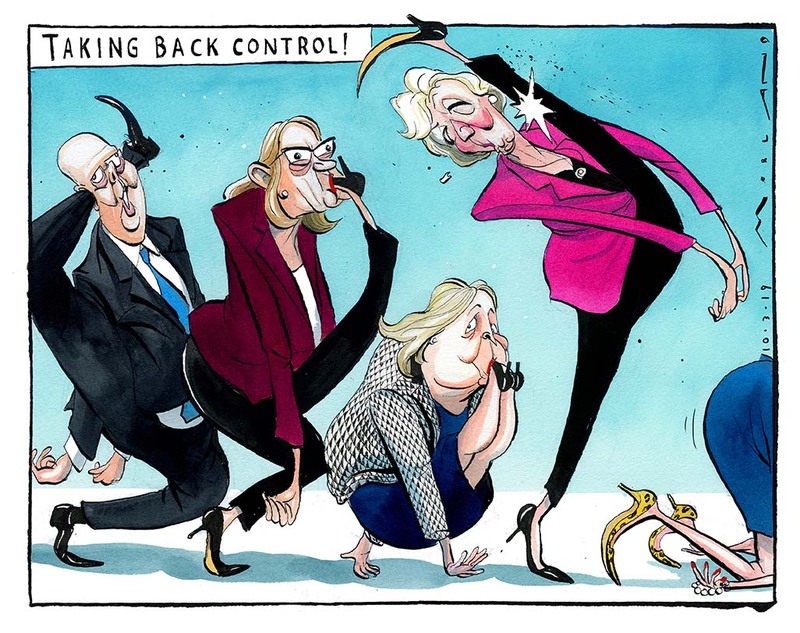 Darvey illustrates PM Theresa May’s unenviable position of one hard option after another. Members of Theresa May’s cabinet lie in a dustbin as they cannot agree with each other on the terms of Brexit. 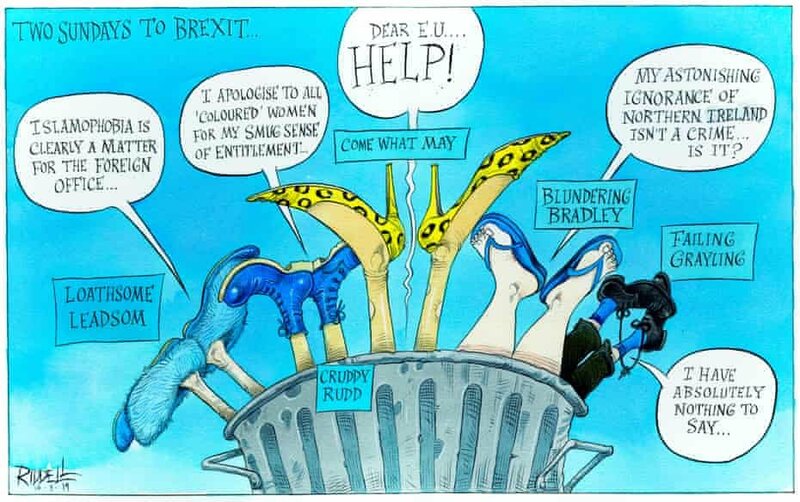 May asks the E.U. for help. 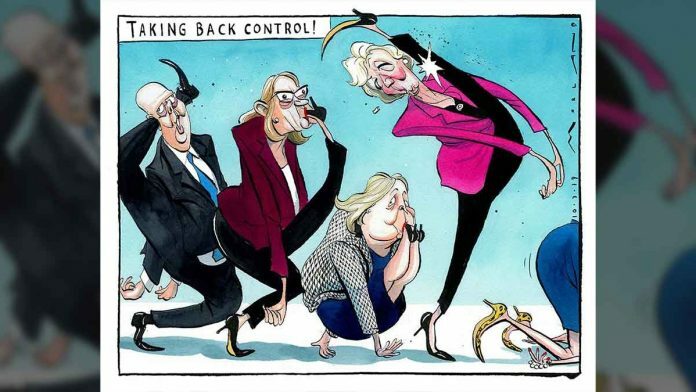 Morland mocks Theresa May’s cabinet, whose attempt to ‘take back’ control since her Brexit deal proposed on 16 January was rejected, has resulted in them putting their feet in their mouths.